How to maintain your Garden during Winter. Grey skies, gloomy weather, continuous rain and chilly winds are all good once when you are sitting cosy inside your house with a hot cuppa. Everything changes when summer comes around and life is suddenly buzzing outside. But there are times when you want to cheer your mood up during winter days and when you look outside in your backyard all you see is gloom. So isn't it time that you give your garden a winter makeover? 1. Add Solar lights to plants/trees. 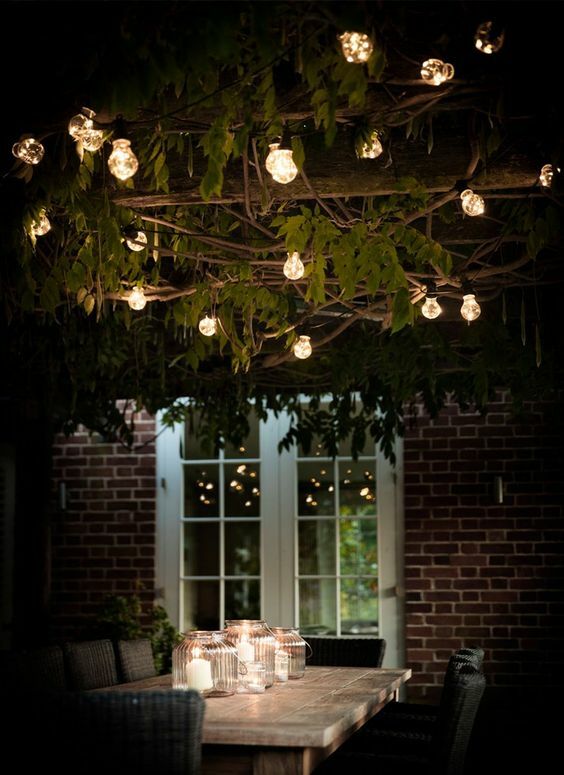 Adding string lights to trees or tree branches gives an absolutely magical touch to your garden. You are not wasting electricity and you are giving your backyard a completely different look. Since night falls very early during winter months, I try and add as many solar lights as I can in the garden. This way when the night falls, the entire garden lights up making it look absolutely breathtaking! 2. Plant flowers that stand the cold. As soon as summer hits, the garden centres come alive with so many plants and flowers but usually during the winter months, all you can see are small shrubs that look absolutely lonely. There are so many colourful plants that can withstand the colder months. Winter jasmine, Purple Shamrock and Persian Sheild can make your garden look colourful with their beautiful flowers. 3. Use colourful plant pots to plant flowers. Adding colourful plant pots will make your garden landscaping change completely. You won't be looking out to a gloomy monochrome backyard then. Not only that, you can use colour on your fence as well so as to make your backyard pop completely. If you don't want to paint your fence in a bold colour, you can use coloured stones to cover the soil so that they break the bleak garden landscape. 4. Keep out seeds for birds. I know birdhouses and seed planters usually come out in the summer but there are many birds that still look out for food even during rainy days. Make sure that you keep putting out seeds for the birds so that the garden can come alive during sunny winter days and there are lots of birds and squirrels making your backyard buzzing with beautiful sounds. 5. Don't ignore your garden during extreme winter days. Many times we tend to ignore our garden during colder days and let it overgrow and have the weeds creep out from every corner. If you can not keep up with your garden, you can always hire gardeners and get landscaping done to your garden or just have it look presentable so that the weeds do not affect the grass quality and the shrubs and plants aren't creeping up making the garden look a little too eerie. Here is hoping that your garden comes alive during the winter months!